Kate Burke, former Peirone Prize winner, has filed to run for city council. 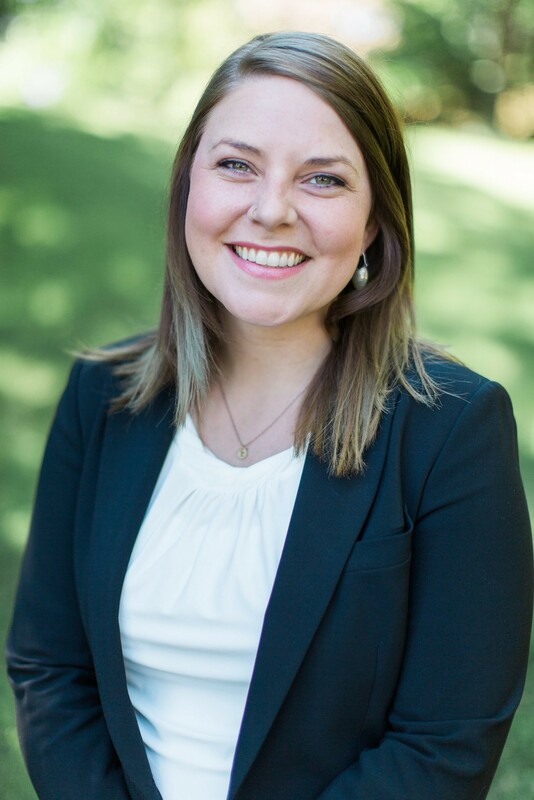 Kate Burke, the legislative aide for state Sen. Andy Billig, has already filed to run for Spokane City Council next year. This, to be clear, is an idea she's been kicking around for a really long time. Nine years ago, the Spokesman-Review reported that Burke "loves this city and aspires to sit on its City Council." But now she's made her quest official, she tells the Inlander. City Councilwoman Amber Waldref runs up against term limits next year, leaving her seat in District 1 open. Burke aims to replace her. Last year, Burke filed to run for the board of Spokane Public Schools, but withdrew her application. But this time she says she's serious: She's 27, and says she's perfectly set up to be able to devote the time to the grind of the city council. "I don’t have a family," she says. "I don’t have anything that’s taking away from my work." According to the Public Disclosure Commission, she's already raised $2,000 from her parents, $500 from her sister-in-law, and $100 from state Rep. Marcus Riccelli, a Democrat from Spokane. If she wins, she'd represent District 1 — which includes the impoverished Hillyard and East Central neighborhoods — alongside conservative Councilman Mike Fagan. Burke grew up in Spokane and moved to the city's District 1 in March. Since then she's begun to get a sense of how the district differs from the rest of the city. "I’ve lived on the South Hill and lived in West Central. It’s a different vibe and different feeling," she says of the district. "I’ve seen the hardships that it’s going through. You hear about Hillyard every once in awhile — you don’t hear about the rest of the district, and the people that live here. It’s so disconnected with the city." Beyond addressing high property crime rate, she identifies the streets as an area that could use improvement. "We have a lot more arterials than people think," she says. "We need a lot of traffic calming implementation here." In 2014, the Inlander awarded Burke the Peirone Prize for her flurry of activist and non-profit activities. That included Project Hope, a community garden tended by kids from West Central; the Lands Council, an environmental activist group; and the Edible Tree Project, a non-profit she started, tasking a squadron of volunteers to collect unpicked fruit from local orchards and deliver it to food banks. Burke would actually be the second Peirone Prize winner to compete for City Council in the District 1. Last year, council contender Randy Ramos ran, but was easily bested by Fagan. While Burke is much more liberal than Fagan, she says she highly respects the connection Fagan has with his constituents, and wants to emulate that. "I think he’s one of the people on council that I look up to," Burke says. "He takes it seriously that his constituents are important to him. I think I can really mirror-image that as well." Asked about the council's recent flip-flop on its legally dicey ballot measure to address oil and coal trains coming through Spokane, Burke agreed that oil trains presented a safety hazard to Spokane. But she's also spoken with the lobbyist from BNSF Railway in her role as Billig's legislative assistant, and says it's important to try to involve the railway in discussions of how to address the dangers of transporting volatile oil. "If I’ve learned anything from working for Sen. Billig, it's that those type of controversial issues are better dealt in conversation with people who are working closely on the issues," Burke says. "I think having a respectful sit-down with BNSF and talking with them, and asking them hard questions, and trying to come up with a respectful solution between the two groups — I think you can accomplish a lot more." Burke also expressed frustration at the apparent unwillingness of city council members to actively push for a conversion of Main Avenue to a two-way street. The two-way Main idea has a lot of enthusiasm from business owners on the Community Building block near Division, but faces powerful opposition from property owners the west, including the Cowles Company and Bennett-block owner Dru Hieber. An attempt by City Council Ben Stuckart earlier this year abandoned initial efforts to leverage a stakeholder group in order to conduct a study into the idea, instead hoping that general streetscape improvements on Main could accomplish many of the same goals. But Burke believes the council should be fighting for the conversion. "I think that when a large portion of the city wants something, I think it should be something that is advocated strongly for," Burke says.